Chronicling the adventures of a History student in Utah, on a cultural resource management internship to document cemeteries in Northern Utah and Southeastern Idaho. The Civil War in the West. Today I am writing to you from a morgue. Inside the hospital, you go down the stairs to the basement, and just before you come to the kitchen, there is a hallway leading to the autopsy and embalming room. The hallway is lined with cabinets, and the brick walls in the room have worn over time. It is slightly chilly, but not as cold as the morning mountain air outside the window. Of course, the building has been repurposed as an arts center; but it only seems fitting that I relay my tales of death from the morgue. I am at the annual meeting of the Association of Western States Folklorists in Virginia City, Nevada. I am staying at St. Mary’s Art Center, which in its previous life was a 19th century Catholic hospital in this small gold mining town up the mountain from Reno. It is very nice—and very hilly. From downtown, you can see for miles. From the Art Center, you can see up the steep hill to downtown. Apparently, there is more gold, and a mining company has bought the rights to all of it with plans to strip the mountains on the quest for riches. On the other side of the continent, 150 years ago this week, the Civil War began. I had a hard time believing it when I saw the first one, but several veterans of that war are buried in the area that I am researching. Some have the old-fashioned markers, which were short in size until around 1903, have a rounded (Union) or pointed (Confederate) top, feature a badge shape on the front which lists the soldier’s name, unit, company, rank, and job (infantry or cavalry). Others have more modern style veteran markers (the ones that I have seen have been flat granite). Others do not even have a marker. If it were not for the memory of a few locals, you could stare at their graves for days and not realize that they are veterans. The information that I use in these short biographies (and those in other posts) comes from sources that anyone can use. If you have a family member who was (or may have been) in the Civil War, a good starting place for researching them and their service is at the Civil War Soldiers and Sailors Database. This is an online, searchable database of people who served in the war on either side, their unit, company, and what their position was. Next, to see primary documents (such as pay and enlistment information), go to Footnote.com’s Civil War Collection. A third handy website is the Civil War Archive, where you can find brief information about specific units on each side. In order to narrow down my searches, I use Family Search to try to figure out where people lived and when. I have also found Google to be a great tool, because sometimes people post their own biographies online. I will give a brief biography of those veterans whom I have identified in my travels. For some, I have not conducted very much research and can only give their name and unit. A few people apparently had common names, and I cannot yet identify which entry in the database belongs to them. If nothing else, I will mention their name. Another issue that I have run into is that some veterans do not have veteran markers. I have identified at least one burial where the person has a grave marker that does not indicate their veteran status at all. It is likely that there are more that I do not know about, but to run each person who could have been in the war through the database would take far too lon g.
In Preston, Idaho, I saw the first veteran. 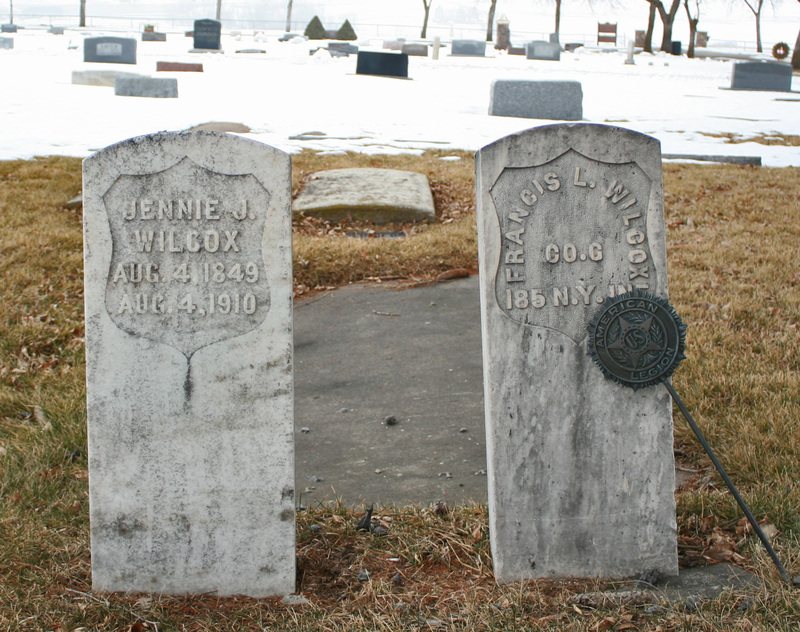 Here, lies Francis L. Wilcox and his wife Jennie. You will notice that Jennie has a marker very similar to that of her husband. Look closely, however, and you will see minor differences: it is wider, the style of text is different, and it includes her dates of birth and death. Francis served as a Private with the 185th Regiment of the New York Infantry, Company G. His unit saw some memorable action, including chasing down General Lee and being present at his surrender at Appomattox. After the war, Wilcox settled down in Idaho with his wife. 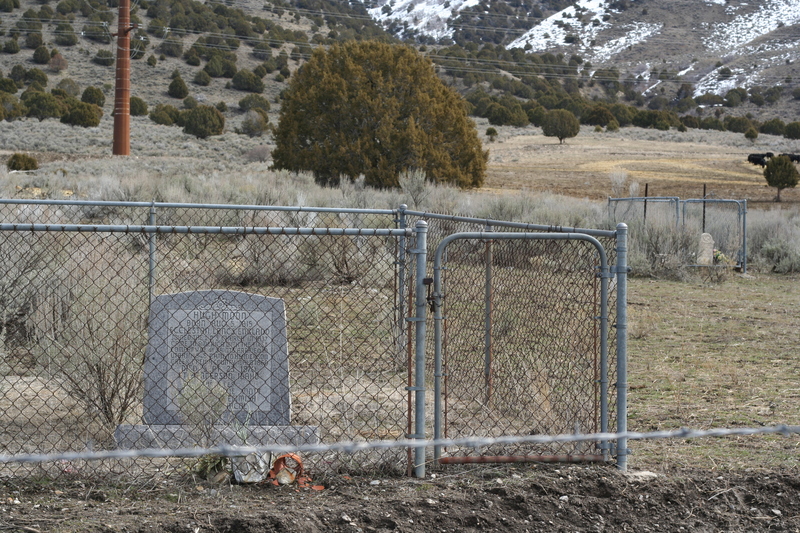 In Samaria, Idaho, is the grave of William Jones. This name is very common, with 3,417 hits in the database from both the Union and Confederate sides. If I could find out where he was from, I could possibly narrow that search down to a few handfuls. Benjamin F. Glauner lies in the Fairview Cemetery in Soda Springs, Idaho. He was a Sergeant in Company H, in the Union 32nd Regiment of the Missouri Infantry. They did not participate in any well-known battles, but lost 434 men; 408 of them to disease. If Glauner’s marker appears to be new, that is because it is. In the last decade, Congress approved the reproduction of Civil War style markers for identified veterans of that war who do not have one, and whose family would like one. Veteran markers are furnished by the government upon request of the family, although the family must pay for its installation if the person is not buried in a national cemetery. Corinne, Utah has a few veterans buried there. First up is Henry Clay House. It is not clear which unit he was with, but after the war, he was promoted to Colonel and appointed to move condemned weapons from Fort Union, New Mexico to Fort Leavenworth, Kansas. Along the way, he and his unit apparently fought off bands of hostile Cheyenne, Kioways, and Sioux Indians. Later, as a scout, he was involved in the Sand Creek Massacre and the Little Blue Massacre. The story goes that, after the Sand Creek Massacre, he was subpoenaed to face a court martial. The charges were dropped when he showed up with a young boy whom the Indians had allegedly scalped during the fighting—his head covered with surgeon’s plaster. Next in Corinne is Elias M. Quimby, a Sergeant with the 1st Regiment, Company I, of the Vermont Cavalry. His unit saw action at Gettysburg, and was present when General Lee surrendered at Appomattox. Edwin N. Williams, also in Corinne. I could not find his name listed in the database, but he was a member of the 69th Illinois Infantry, Company B. They were involved in no battles and lost 13 men to disease. In Deweyville, Utah, you will find the grave of James Berry, who is also a veteran of the Spanish American War. He does not have a government marker, and a search for his name turns up 292 results in the database. I would need more information to locate his records. Coleman C. McNiece is one of two people, of those I have identified, whom I can confirm to be a Confederate soldier. 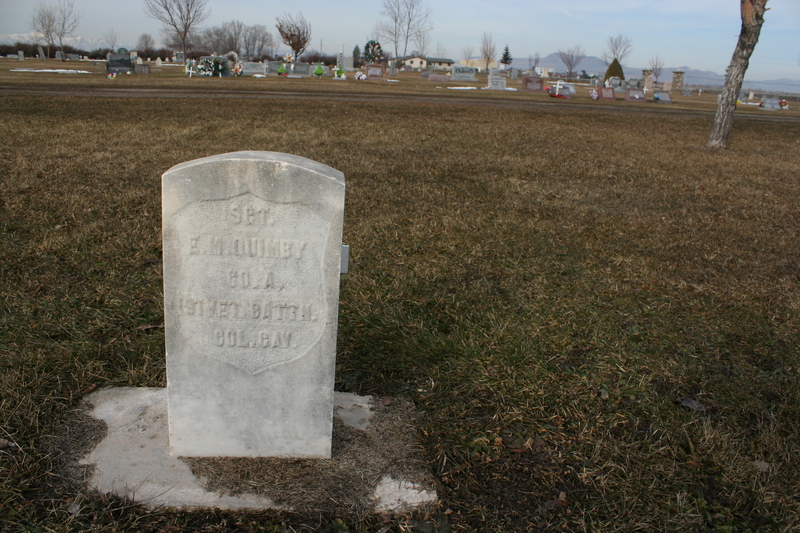 He is buried in Honeyville, Utah with a modern, flat granite government marker. His unit was not present for any famous battles, and it appears that most of the men surrendered in April 1865. 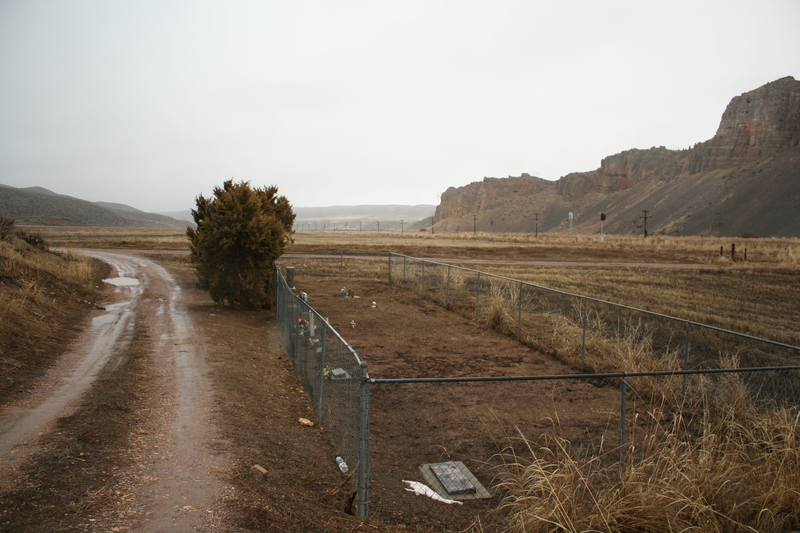 In Junction, Utah, the cemetery is very small—about the size of an average one-room apartment. It is surrounded by a barbed wire fence, and you have to climb a ladder to go over to the weed-infested burials. Here, there are three Civil War veterans. The graves of two of them are unmarked; the third is marked, but not with a government monument. John W. Moon is the person who has a marked grave; however, his name comes up several times in the database. I have tried to find some more information about him, but he is one of those mystery people about whom it will take some time to find information. Samuel Sawyer Sease is the other Confederate soldier on my list. He was born in rural Virginia in 1831, and is listed with Company K of the 5th Regiment in the South Caroline Reserves for 90 days. Then with Company E of the 6th Regiment in the South Carolina Infantry. The latter unit surrendered on April 9, 1865. He is buried next to his son, who was killed after being kicked in the ribs by a horse; back when doctors had to come on horseback from another town. Lewis Jefferson Wright was born in Kentucky in 1844 and enlisted with the 48th Kentucky Infantry, Company D. Like other units, most deaths during the war were from disease. The 48th only saw seven men killed during battle, but 97 from disease. Apparently I can’t have multiple markers on a Google Map. If anyone reading this wants to see where these folks are located, I can e-mail you a file that you can open in Google Earth to see them. There are two sites in this one, so scroll down past the first map that you come to! Every time that I go out to do research, I try to find something interesting to find in each cemetery; the founder of the town, unique stories, important people, and so forth. I spent last Thursday and Friday working in Idaho, visiting cemeteries in Franklin, Bannock, and Oneida counties, and a couple in Box Elder County in Utah. The weather was trying to work against me, but I just used an umbrella to block the rain from my camera and all was well. 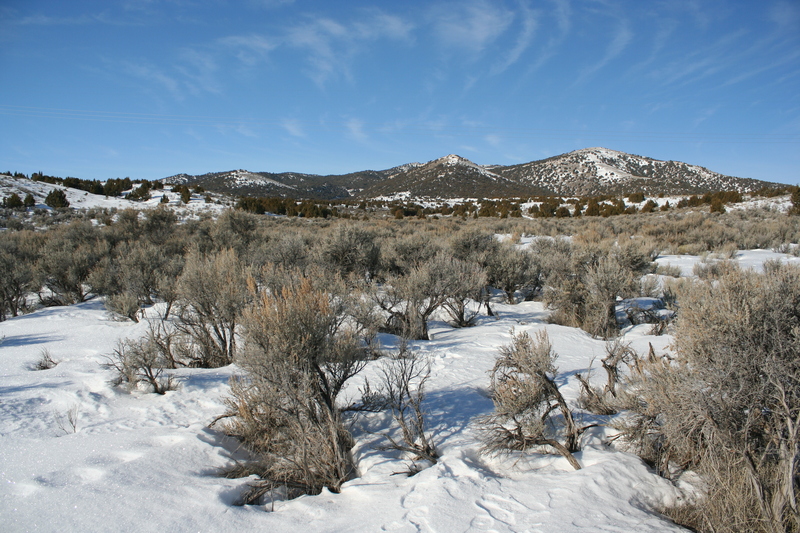 This post will look at two burial sites in Idaho. Well, I suppose only one of them is a “burial site.” The other is more of a tiny cemetery. I visited the Hunt cemetery on Thursday afternoon. It is near the intersection of the West Side Highway and Highway 91 in Bannock County. It is very discreet, and you would never know it was there if you didn’t know where to look–or didn’t go up the steep stairs going up the side of a mammoth rock. Luckily, the rock is also a geologic site (Red Rock Pass), which probably draws at least three unsuspecting visitors to this cemetery every year! The little dirt road going around the rock leads to a chain link fence, that surrounds the 17 people buried there. The one to look for is Charles Jefferson Hunt. He was born in 1803 in Kentucky and joined the LDS church in the late 1830s, a while after his wife was converted. In 1846, Hunt was selected to be a Captain in the Mormon Battalion, the only religiously-based unit in the United States military. Of course, the Battalion is known for its 2,000-mile march from Iowa to California, and they were involved in a few battles during the Mexican-American War. On Friday, I was able to visit an interesting burial site. This is most definitely not a cemetery; it is a cow pasture on the side of I-15. Two people are buried here, about 30 feet apart in the midst of mud, weeds, and cows: Hugh Moon and Jane Copeland Howell. To get to this site, you have to park on a pull off by the “Welcome to Idaho” sign on I-15 North, and then climb about 80 feet up a hill. Moon was a pioneer who was born in 1815 in England, where he educated himself by using books. He was learning to read Latin when Heber C. Kimball and Orson Hyde came through and converted the Moon family to the LDS Church. Moon then gave up Latin for the Bible and spoke of his new faith to anyone who would listen. After his father’s death, he and his family sold everything that they could not bring to America and set sail on the Britannia. It took two years and a few of his family members died, but Moon made it to Nauvoo in time to see the temple dedication. He made it across the plains and lived in Salt Lake City and St. George, Utah before settling in Henderson Creek, Idaho. He purchased the farm that he was buried on in 1869 for $1,100. He told his family that he wanted to be buried in Utah. When he died, they carried his body to the border and buried him in what they believed to be Utah; since they did not have “welcome to Utah” signs, a guess was as good as they could do. It turns out that he is buried about ten feet north of the border–in Idaho. (This biographical info comes from his diary, which is transcribed here). I could not find any information about Howell, but the story goes that even though she was not LDS, she wanted to be buried in Portage, Utah instead of in Idaho. There was not a fence around the cemetery, so like Moon, she ended up being buried just a few feet away from where she wanted to be. How she ended up near Moon (about six miles south and west) is something that I cannot figure out. But at least she ended up on the Utah side of the border! In Western Box Elder County, Utah, there are several ghost towns. In the 1840s and 50s, an alternate leg of the California Trail went through the Raft River Valley carrying emigrants to expected riches–in fact, it was the travelers last chance to change their mind and get back on the Oregon Trail. In 1869 the Union Pacific and Central Pacific Railroad companies met and drove a golden spike into the final rail of the transcontinental railroad. After the trains came, a small leg of the California trail that led to Salt Lake City became an important thoroughfare to get valuable ore from Idaho mines to a rail stop in Kelton, Utah. Cedar Creek, a stage town, popped up along this road; providing travelers with a restaurant, general store, and a hotel. But before the trains came and before the Raft River was dammed, there was a nice meadow with big trees, grass, and streams. In Almo, Idaho, a few miles Northwest of Cedar Creek, a legend began. Take a trip through town today and you will see the monument: a large slab of sandstone in the shape of Idaho, with an inscription telling the story of an 1861 Indian massacre. Some 300 emigrants were killed, with only five people (one a baby) escaping. The escapees crawled on their hands and knees for miles, trying to get to help. Along the way, the baby died. g the attack, which supports Madsen’s otherwise-pompous allegation (I say that alleging that something didn’t happen simply because a newspaper didn’t report it is rather gutsy, even for Madsen). I spent a day with a man who disagrees – although he will admit that 300 casualties might be a very high estimate. Stan is an old man. I didn’t ask how old, but if I were to estimate, I would say he’s “dang” old. He’s been in the Almo and Elba area for his entire life, where he worked as a well-driller until he retired. His father and grandfather spent their lives around Almo, and he is hoping to pass the family ranch on to his own children. His age should not fool anyone, however. 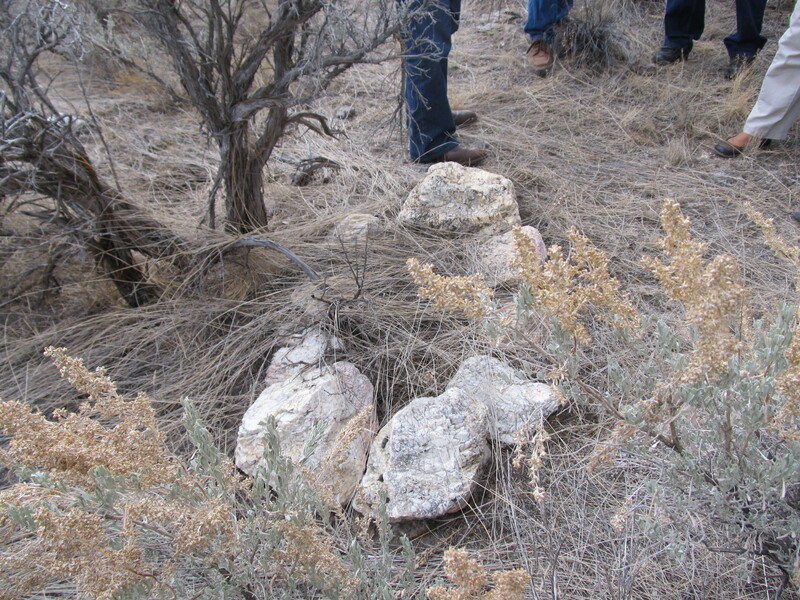 He can stand on virtually any spot in Cassia (Idaho) or Box Elder (Utah) Counties and tell you what happened there, when, who was involved, what the rocks on the ground are made out of, and what the same piece of ground looked like 150 years ago. I’m not joking, either. He showed me a possible burial site that might just be the piece of evidence that no one was looking for. It is about a half mile South of the Cedar Creek ghost town, under some sagebrush on a ranch where you may be visited by a llama. Just a ring of stones that Stan believes is the burial site of a baby – one of the five people who escaped the Indian attack. He says someone took it upon himself to take care of the grave, passing the responsibility on to Stan’s father in law when he was a child. were less likely to be detected. The spot is in a bit of a ravine, where Stan says there probably would have been water – or at least large trees. There was a lot more water and lush vegetation before the Raft River was dammed to create a geothermal power plant in the 1980s. The trees and possibility of water – right off of the Cedar Creek trail – would have been a welcoming place for the weary group to stop. If the baby died for whatever reason, and they were at this place, that is where they would have buried it. Is the ring of rocks really a grave? If so, is it really the grave of an innocent baby who escaped what would be one of the most savage Indian attacks in history? Stan is an advocate for “witching,” where you take two metal rods and walk around. When the rods cross each other, you have found water – or in this case a grave. It is a commonly accepted (but also contested) way of locating possible graves. Apparently, if one “witches” around this grave, they will get a hit. Science has vastly improved the art of locating things buried in the ground. Among several already-tested methods, researchers at Utah State University are working on technology which can detect things in the ground – sort of like an x-ray machine. Once the snow melts around here, I will have the opportunity to be present for testing in a cemetery. So there are ways to determine whether this is actually a grave – or just a ring of rocks that someone set up to go along with the local lore. As far as I know, the only way to tell if the burial is from 1861, and thus a likely candidate for someone escaping from an attack, is to dig up the remains for testing. I imagine this would be an expensive, time-consuming, and controversial undertaking. Besides, whether the attack occurred or not does not need to be the issue. This is an important story in the history of Almo. One that has captivated generations of residents. Perhaps it is even better if it remains a mystery. 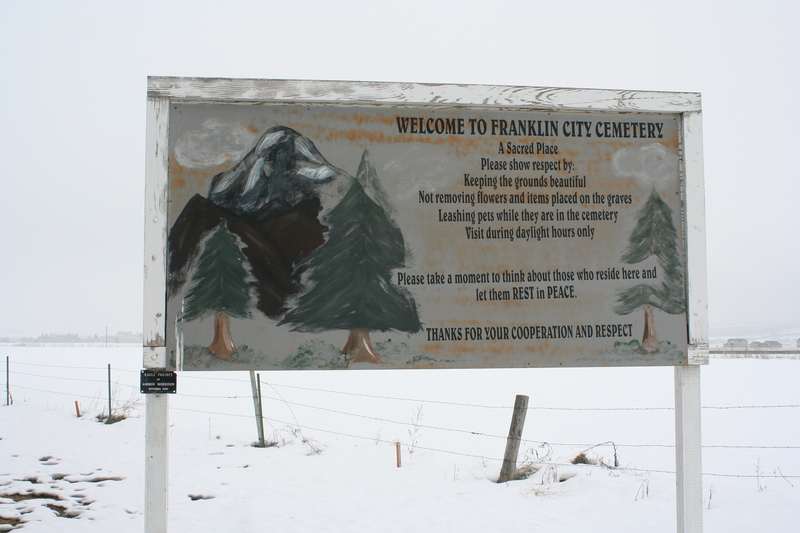 One of my favorite cemeteries so far was also the first that I visited as a “professional” folklorist/historian: Franklin, Idaho. 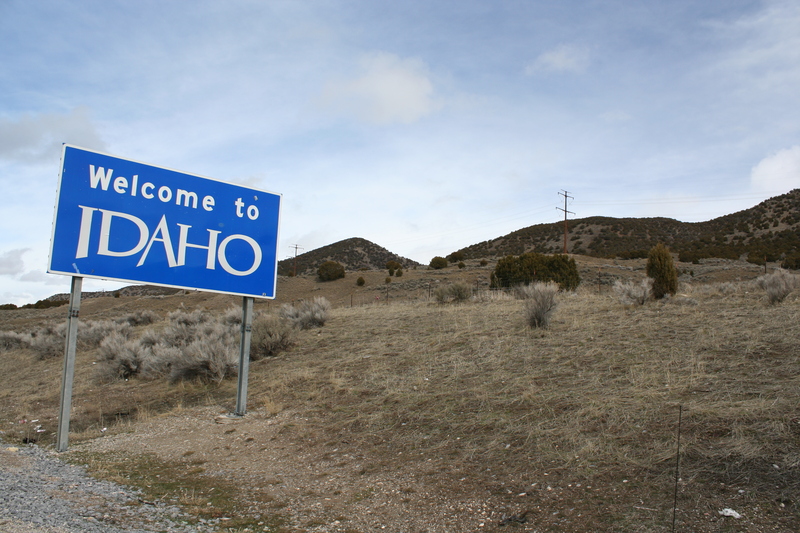 It is just over the Utah/Idaho border on Highway 91, and about one mile South of the town of Franklin. I don’t think that I had noticed it before in the few times that I’ve gone from Logan to Napoleon Dynamite’s hometown of Preston, ID. It is just off of the highway on the West side, and can be seen from the road–if you are looking for it. There are three things that need to be recorded in each of the cemeteries that I visit (GPS coordinates, overview photos, and detail photographs). This is not to say that there are only three things recorded in my database, but all of the other data can be collected using a computer, this awesome Utah municipality directory that government offices have, and a telephone. When I locate a cemetery, I try to find out prior to visiting if there are any interesting people or stories associated with it. The Franklin cemetery has a website that I used for this preliminary research, finding out that John Read was the first burial; killed by Indians in 1860. There are other great resources, which I hope to cover in more detail in future posts (you can find them on the links to the right): Find A Grave, Interment, and Family Search (wiki.familysearch.org, then do a search for “_____ cemetery”). I haven’t posted a link yet to the US GEN project, but that is another good one. I was fairly excited about seeing so many great examples of how NOT to repair a grave marker, symbolism, and other things, that I forgot to take an overview photo. I also spent about an hour walking around, which I quickly figured out is not acceptable if I plan on finishing this project before I graduate. It’s unfortunate, but when you have 150 cemeteries to visit and a limited amount of time between researching, snow, and other delays, time must be budgeted. Besides, most of the cemeteries that I will visit have most (or all) of the individual markers already documented at Find A Grave. Spending excessive time to document individual markers is unnecessary unless they are particularly interesting. So this cemetery just had it all: veteran markers, unique markers, badly repaired markers, and great symbolic markers. One in particular was so exciting that I forgot to take a full picture of it. Luckily I had taken enough photos of the details that I was able to piece it together in Photoshop and recreate the full stone. The best part is that it is in great condition. There aren’t many pioneer-era marble markers that are still legible and standing, let alone in this kind of shape. If you click on the photo to see it full-size (it’s huge because it’s about six pictures merged together, you might want to save it to your computer to control the size), you will see the great and symbolic detail. There is religious meaning behind the stars (Star of Bethlehem), the Book of Mormon, the sun shining down (usually symbolic of revelation, but in a Mormon sense, probably the couple’s expected exaltation), the clasped hands (eternity of marriage), and the curtain/veil being lifted. Overall, this is a fine cemetery. I figured out where John Read is buried, but there was so much snow that I couldn’t get to that part to take a picture. I wish that I had space and time to post more photos and description, because I took plenty here. I expect that I will use some of the photos in future, general posts, so watch out for them! I will be documenting my study of cemeteries, which I am doing for school credit through and internship. I should have started this blog a lot of weeks ago, because now I am halfway through and I could probably blog for well over a year on the information that I have. I will post as I am able, probably once per week, with pictures and descriptions of the cemeteries that I visit, interesting symbols, and resources for readers who want to do their own research. Most people don’t love cemeteries. Many people don’t even like cemeteries. Do a search on Google for “I don’t like cemeteries” and see some reasons for yourself. Some people think that they are creepy, while others find them too sad to enjoy. So I guess I am a bit of an oddity. I don’t think that cemeteries are scary, and I don’t think that they are sad. There was a time in my life when I did feel uncomfortable in a cemetery. 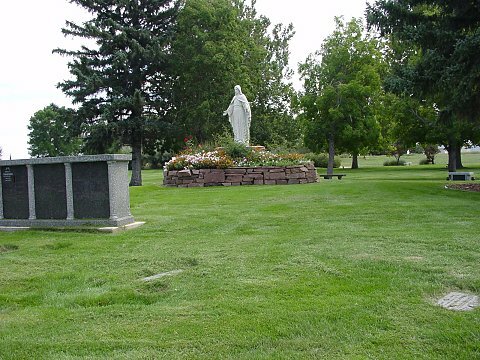 Growing up, my mother took me to the Sunset Memorial Garden cemetery in Greeley, Colorado. I have family buried there, and I was always getting drug around to look at those rocks with “MADDOX” etched on them. I suppose I must have seen a scary movie or heard a story, but I was always concerned that a zombie skeleton was going to reach up and grab me as I walked by. It must have been after moving to Cheyenne, Wyoming from Greeley, Colorado that I began to appreciate cemeteries. I think it was the fine workmanship of the Lakeview Cemetery in Cheyenne that caught my attention. In all the years that my mom had taken me to cemeteries, I had never been to one with stones that were actually upright instead of flat on the ground. Some even had pictures etched into them! There were mausoleums, vaulted tombs, and statues. When my family moved about two blocks from the cemetery, I would often walk around taking photos and reading epitaphs. There are probably no less than two girls who never went on a second date with me because I thought it would be a good idea to walk around a cemetery instead of going to the mall. My aversion to cemeteries was no more. I went out of my way to visit cemeteries in far off Wyoming lands such as Hillsdale, Pine Bluffs, and Laramie with no fear. If I could, I would visit the cemetery in whatever town I came to and had time to stop in. I have come to love the historic significance of cemeteries, especially if they allow more than the flat-on-the-ground grave markers. They are a great way to get an idea of the traditions and values of a community. This is a personal blog, updated and operated by an individual. Though I am working for the Bear River Heritage Area (BRHA), this blog does not represent their views. The links and posts herein are strictly the responsibility of the author, and should not imply an endorsement or recommendation of services by the BRHA. All photographs are taken by the author, but are copyrighted by the BRHA, and used legally under fair use and public information regulations.